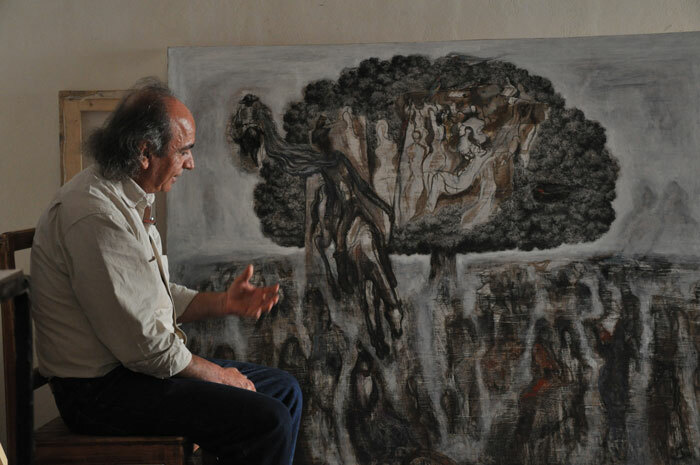 In 2013 his painting (Epic of Baal) was acquired by the British National Museum. Mukawas is characterized by his full aware work upon depth & breadth of the relationship between art , thoughts, memory and conscience. The artist has many important works of art that formed his own colors of accomplishment through decades of experience at the level of art & life.